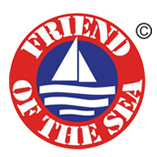 Coral LLC is one of the largest importer/suppliers of Caribbean above-sea coral in the United States and the world who currently supply coral minerals to more than 30 countries worldwide. Since 1998, Coral LLC has been innovative in its use of coral minerals and continues to find new applications and partners to work with. 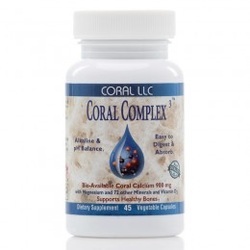 Coral LLC was one of the first coral supplement provider to pulverize coral into an ultra-fine powder and offer it in a capsule or as a powder supplement. Coral LLC also developed the first-ever coral based toothpaste, utilizing coral to help restore, clean and whiten teeth. Over the years, many companies such as Procter and Gamble, Source Naturals, Nature's Bounty and Coral LLC have discovered the uniquely great health benefits of coral minerals. All of these companies have managed to use coral in different ways, including in agriculture, cosmetics, sports, water enhancement, and more. Product quality, consistent inventory, innovation, customer programs, and excellent customer service separate Coral LLC from the long list of companies that utilize coral minerals. Their Vision is providing the most basic nutrients for optimum Health and their Mission is to become the premier supplier of natural minerals and nutrients through sustainable practices while providing innovative high quality products. What sets Coral LLC apart from the rest?